Color is a fascinating phenomenon. The science of its creation alone is enough to waste an entire Saturday reading Wikipedia only to have scratched the surface of its magic and lure. However, even more powerful than the knowledge of how it works, is the harnessing of how it can be leveraged on behalf of the message you’re trying to communicate. In the ever-growing world of interfaces, app icons, advertisements, packaging, and branding, color is becoming more and more crucial to stand out amongst the sea of attention-grabbing competition. The increasing desire to stand out is probably why so many companies are doing everything they can to trademark individual colors in order to legally segregate themselves as unique. Color is even deliberately used to shape and target (dare I say manipulate) the emotion or mood of particular scenes in the films and TV that we watch. Are we in the Church being that deliberate about how we’re using color? Are we being that deliberate about anything? 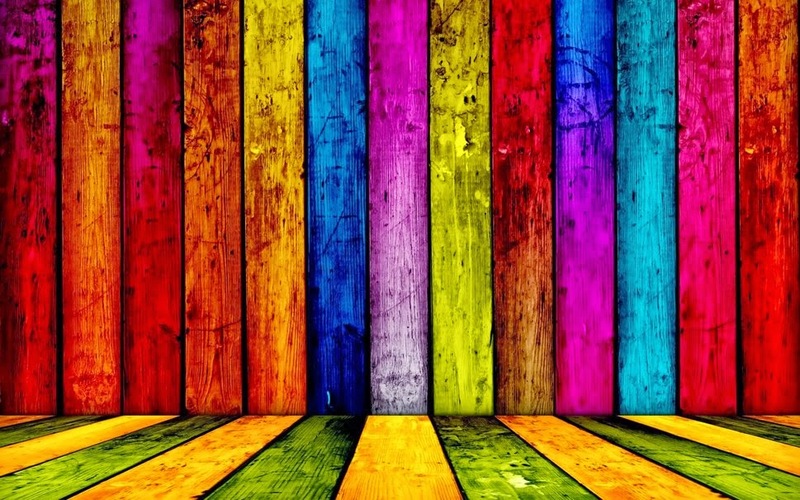 If every realm of the marketing and storytelling world is leveraging color as a means to help people recognize and leverage their brands and services, shouldn’t we be doing the same? There are many polarizing conversations around where branding and the Church intersect, but ultimately there is something to be revered about having a clear message, being consistently recognizable, and equipping your attendees to be able to quickly identify what they’ve elected to be a part of as a member of your organization. Even if you refuse to admit that logos and branding matter in the Church world, our culture is already deciding for you. If you aren’t being intentional about how you’re perceived, you don’t get a pass simply because you’re a church with “a tight budget.” Every company ever has a tight budget. There are always finance people who are sticklers, and rightly so. We need them to keep our lofty heads on straight. They help us prioritize and avoid running around like a bunch of cotton-headed-ninny-muggins wasting money on every creative idea we can think of. Their constraint helps us strive for clarity so we are only creating the best. Even if you refuse to admit that logos and branding matter in the Church world, our culture is already deciding for you. People are judging your church. It’s not based on color alone, but it’s a definite facet. What does your logo say about you? Do your printed materials seem cohesive, intentional, and trustworthy? Does your website represent your church experience well? There was a time in history when a person’s first impression of your church experience was the parking lot. That’s no longer the case. People make decisions about you long before they even consider putting on pants and arriving at your parking lot. We live in an era of Yelp and Google reviews, websites, Twitter pages, Instagram accounts, Facebook posts, blogs, and web videos that can tell us a lot more about the place we’re considering going before we ever begin the journey in their direction. I don’t even go to a new coffee shop or barber shop without running it through my gamut of research, only to then make a judgment of whether or not they’re worthy of my patronage. All this, based solely on my impression of how they represent themselves in places I can encounter them on the Internet. People make decisions about you long before they even consider putting on pants and arriving at your parking lot. The brand of your church can, will, and must go to places you can’t. Places you’ll never be able to go. Your brand, in all of the mediums I mentioned above, is in almost everyone’s pocket right now. Is what they’ll encounter there true to what they’ll experience when they arrive? Are you stewarding all these potential interactions? They matter. When I mention certain brands (like Target, Home Depot, Starbucks, UPS, McDonald’s, Coca-Cola, Barbie) your fantastical brain can picture the color of their branding. How incredible is that? It’s definitely not by accident. There are years of work they’ve put into that recognizability and trustworthiness. Heck, I don’t even read the titles below my apps on my home screen anymore; my eyes just glaze over and look for the color I associate with whatever task I want to do. Color is an incredible memory tool. Color is an incredible memory tool. Choose the memory of your brand, your church, or your organization to be recognizably consistent. Be intentional with the interactions people have with your brand, because if you’re not, they’ll find someone else who is. Wouldn’t you rather choose what they remember of you instead of leaving it to hopes and chance? Your church can accomplish this, your attendees deserve it (and yearn for it), and ultimately the Message is worth it—and it all starts with color.